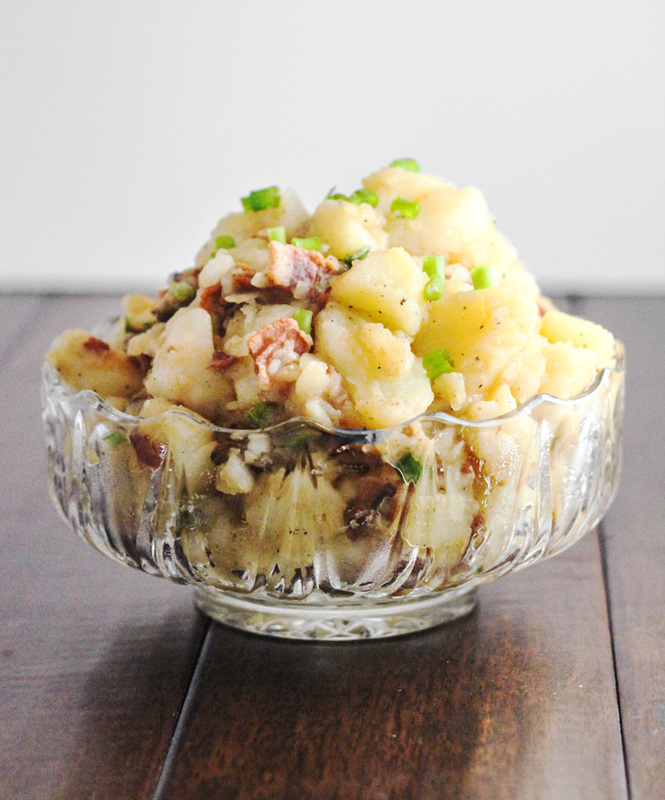 Today I am sharing my mothers Warm German Potato Salad, one of my families all time favorites. As the title states, this is best when it is still warm from boiling the potatoes. With Oktoberfest Winding down (it is actually celebrated staring in late September and runs 16 days till the first weekend in October), this is one of the standard dishes you would get in the Beer Gardens with your knackwurst and kraut. For me this is so good I could sit and eat it all alone for dinner. Here’s the steps for you to try, just remember this is not your good ole southern mayo and mustard potato salad. It is a bit Tangy. Scrub the potatoes and place in cooking pot leaving skins on. Boil until almost done (better a little under cooked that over cooked). Slice bacon into pieces and Fry till done. Remove bacon and reserve the grease. Strain bacon grease to remove bits and return to fry pan. Add vinegar and bring to simmer to deglaze the pan. Slice green onions, add the tops to the potatoes. 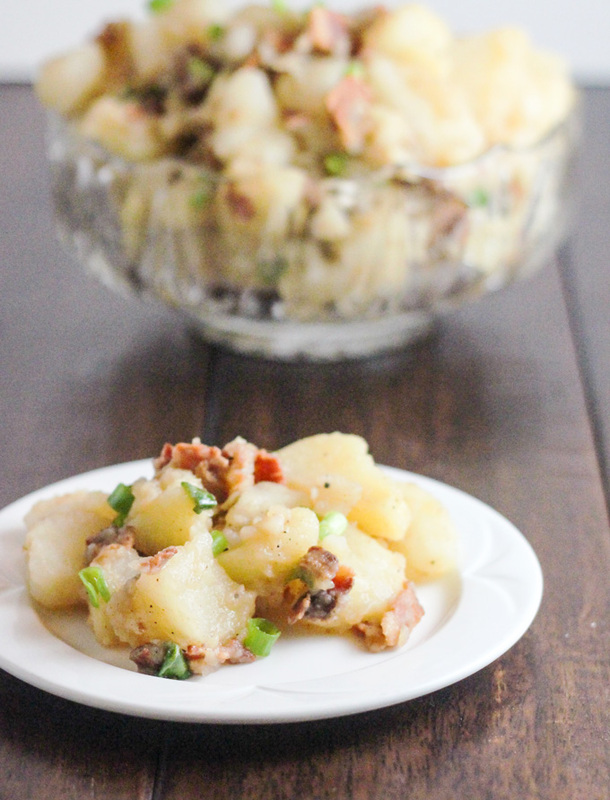 Add bacon bits to potatoes. Pour vinegar and beef/Maggie stock over potatoes, add salt and pepper to taste and gently mix with a large spoon. Let set for 5 to 10 minutes so flavors will meld. We served this with a coffee rubbed flank steak cooked to medium rare and sauteed green beans. I will be sharing the post for that a little later in the week. What about the beef stock?